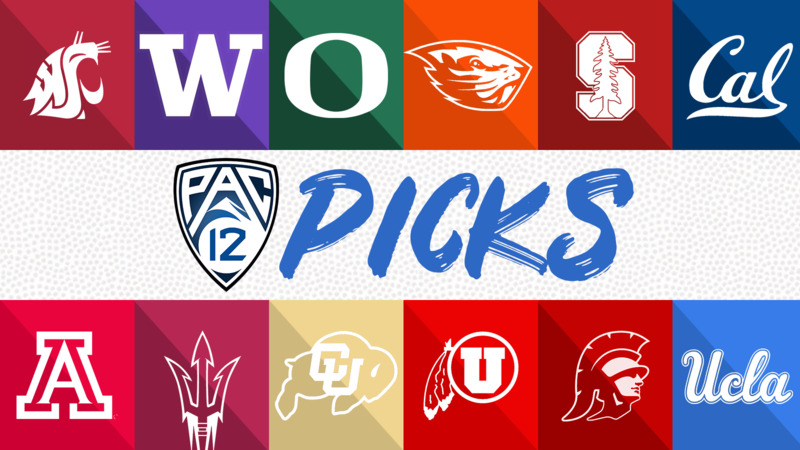 UPDATED: Wed., Nov. 7, 2018, 3:42 p.m.
Four teams from the Pac-12 Conference are already eligible for postseason. Six more could get there and five of those could speed up the process this weekend. Arizona State by 12 1/2 – Just one game separates the Bruins and Sun Devils in the Pac-12 South, but the last two results for each team should indicate why ASU comes into this game as a near two-touchdown favorite. Expect another dominant performance from N’Keal Harry and a third straight win for the Sun Devils. The pick: ASU 34, UCLA 21. Washington State by 6 – The Cougars mastered elevation earlier this season when they opened at Wyoming and are playing with significantly more confidence than the Colorado team they’ll see Saturday. Oh, and that Colorado team may still be without three top receivers. The pick: will be in Saturday’s paper. Utah by 3 – They won’t have the most explosive quarterback in this game anymore, but the Utes are fighting for their lives in the Pac-12 South. Running back Zack Moss, who’s had 100 yards in five of his last six games, is good enough to lead Kyle Whittingham’s offense on his own. The pick: Utah 33, Oregon 28. Stanford by 24 – Stanford has nothing tangible to play for at this point, but you can bet consecutive losses to the Washington schools won’t sit well with the Cardinal. I certainly wouldn’t want to be the next team on their schedule. The pick: Stanford 41, Oregon State 10. USC by 5 1/2 – In more than one area, this should be a favorable matchup for the Golden Bears. But given that Cal has scored 32 points in three of its last four games – the ones that weren’t against Oregon State – JT Daniels and USC’s resurgent run game should do enough on offense to sneak out with a sixth win. The pick: USC 24, Cal 14. Published: Nov. 7, 2018, 2:45 p.m. Updated: Nov. 7, 2018, 3:42 p.m.